New England outdoor advertising operator, ATA Transit Advertising, has selected Ad Manager to consolidate their different markets spread across 4 states and streamline operations. Dot2Dot Communications is the provider of media management software Ad Manager, and is Canadian Distributor for Scala digital signage software. 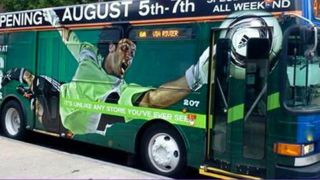 ATA Transit Advertising covers the northeastern corner of the United States with a line-up of over 250 vehicles for 11 different transit systems, transit shelters, and community recreation arenas. To maintain and build on this, ATA needed a proven solution like Ad Manager to manage their entire process. "I have spent the last twenty-two years building this company from the ground up. Becoming more automated has always been a dream to work toward. In our ever more demanding, fast-paced business, it is now a survival necessity. I am grateful that Dot2Dot had solutions to put in place," explains Jane Marlow Cutter, President, ATA Transit Advertising. Today ATA Transit Advertising leverages unique Ad Manager functions like ‘virtual faces’ and ‘network availability’ to help sell and manage the various ad-spots found on their multiple media types. Ad Manager’s business management approach has automated the way ATA Transit Advertising now handles proposals and contracts, scheduling and fulfillment, campaign completion and proof of performance, to overall business analysis. Dot2Dot Services also plays a key role in the fulfillment of this operation, as all markets access Ad Manager remotely to a dedicated Microsoft SQL Server hosted by Dot2Dot Communications. With all systems in place ATA Transit Advertising now has the toolset needed to plan campaigns more profitably, place ads more efficiently, and measure results quickly and accurately.